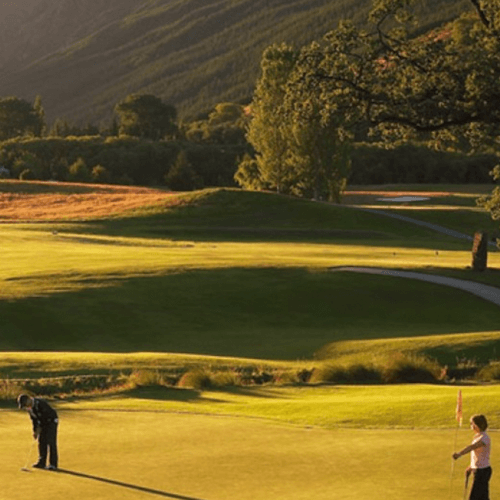 The picturesque Arrowtown Golf Club is set in Central Otago, one of New Zealand’s most historic and scenic regions. This Golf Course is a must when playing Queenstown Golf, surrounded by mountains the 18 hole course has superb views from every fairway. Take time to play golf in this inspiring setting – it’s unique! Each hole has its own attraction and the diverse and challenging course attracts players from all over the world. Historic stone cottage ruins nestle amongst towering trees, a legacy of Arrowtown’s pioneers. Golf clubs, trundlers and electric carts are available for hire. Concessions for groups. Please enquire at the clubhouse. 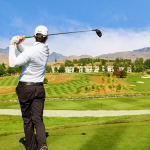 The Arrowtown Golf Club is open all year round and welcomes green fee players. Arrowtown House is situated in a peaceful setting in the heart of historic Arrowtown, a charming village perfect to relax and unwind in the fresh alpine air. Arrowtown is located at only a 15-minute drive to downtown Queenstown.